Say whaa? Chocolate milk is a nutritious treat?! 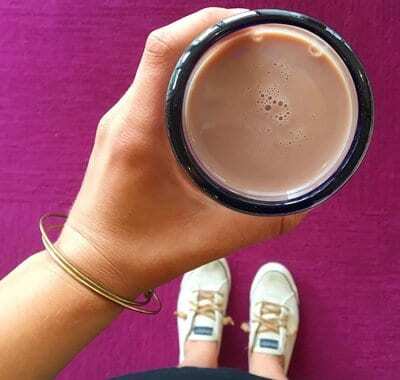 Chocolate milk was likely your favorite childhood beverage. But as a mom, do you serve it to your kids? We all need facts in order to make the best choices for ourselves and our families about what we eat. It’s time to set the record straight about chocolate milk. 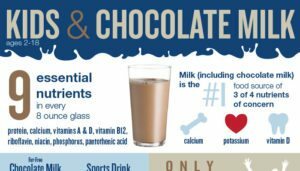 Myth: Chocolate milk is not as “healthy” as plain milk. Fact: No matter the flavor, milk will always be the same delicious beverage that provides nine essential nutrients. The major difference between white and chocolate milk is the higher carbohydrate and calorie content when sweeteners are added. While some have concerns about sweeteners in milk, leading health and nutrition organizations have recognized small amounts of added sugars can be used in nutrient-dense foods, like chocolate milk. 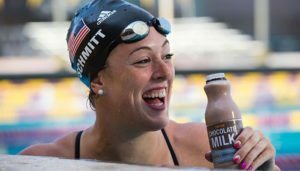 For some people, the calories from sugar in chocolate milk are a worthwhile trade-off for all of the nutrition milk provides. Myth: Chocolate Milk is bad for teeth. Drink chocolate milk with meals instead of between meals. Drink, don’t sip, chocolate milk and other sweetened beverages to decrease the time teeth are exposed to sugar. Fact: According to the American Academy of Pediatrics, there is no scientific basis that sugar and other sweeteners cause hyperactivity. 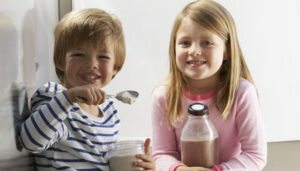 Flavored milk makes up only about 4 percent of the added sugars in kids’ diets, and may actually help them meet dairy recommendations. Fact: A study of more than 7,000 kids aged 2-18 found that children who drink milk (flavored or plain) do not have higher Body Mass Indices (BMI) when compared to non-milk drinkers. The key to anyone wanting to maintain a healthy body weight is to balance calorie intake with calories burned via physical activity. Curious about milk and other dairy foods, and how milk is produced? 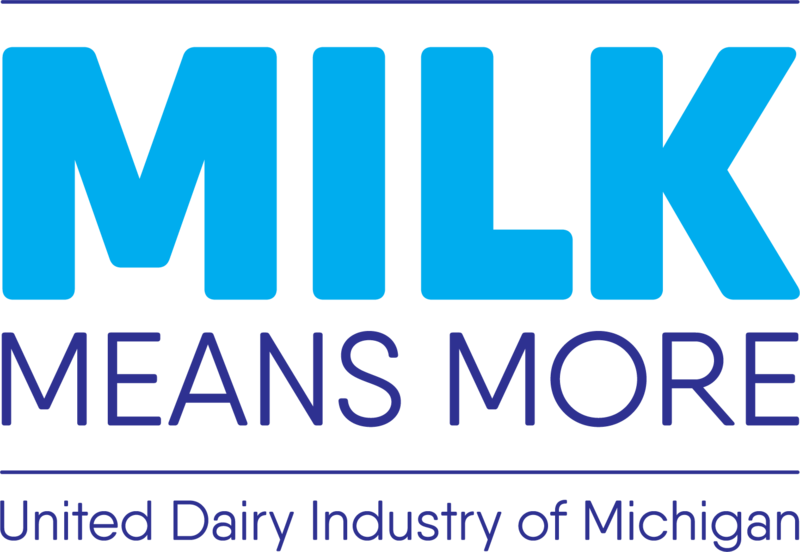 Visit our blog, try our dairy delicious recipes, and learn more about Michigan’s dairy farm families here.